We’re committed to delivering the industry’s best care for the greatest value. The peace of mind that comes with our home care services is more affordable than you might think. Our home care prices range depending on the area you live in and your need for companion care, personal care, or both. What’s more, our hourly rate includes our personalized approach to care, caregiver matching, advanced dementia care training, and so much more, all at no extra cost. Fill out the form below to get information on rates for your specific needs in your specific area. Companion Care Services Help with meal preparation, errands, laundry, light housekeeping, etc. 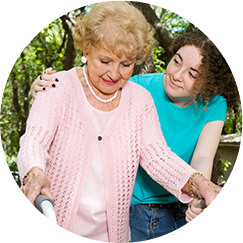 Personal Care Services Help with mobility, bathing, eating assistance, incontinence, etc. Dementia Care Services Companion or personal care services for clients with Alzheimer's disease, Lewy body dementia, etc. Travel Companion Services Companion or personal care services depending on your needs. How many hours/days per week would you like care? How Much Help Do You Need? 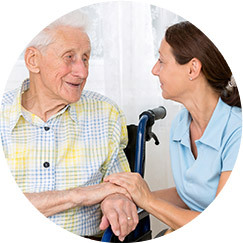 Our in home care cost pricing is based on the unique needs of your situation and the amount of time you need a caregiver per day. We can provide services short-term or long-term, from just a few hours at a time to a live-in or 24/7 basis. We also provide Respite Care for those family caregivers who need some well-deserved time to themselves every now and again, as well as our Travel Companion Program for traveling with your loved one or getting them help to travel alone. Charles is still mostly independent, perhaps living alone, but due to some mobility issues due to age or even recovering from surgery finds he needs a little extra help with daily tasks. This could include help bathing and dressing for the day, light housekeeping and meal prep, and grocery shopping or other errand running. Nancy may live with a family member or adult child who is her primary caregiver, but Nancy can’t be left alone due to a condition such as Alzheimer’s Disease or a severe disability. Her main caregiver may work outside the home during the day and has evening activities and responsibilities that they must attend to, needing someone they trust to be with Nancy when they cannot be. 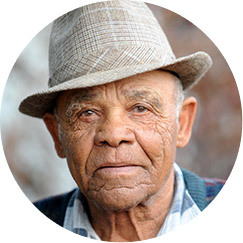 Harold cannot be left alone, but lives alone or with someone else unable to care for him. In this case, 24/7 care (where caregivers attend to their needs in 8 hour shifts) or a live-in situation (assigned caregivers have 2-3 day shifts, but the situation also allows for them to get a full night sleep in their own space during that time) may be the best option. This scenario is common for those clients with Dementia or Alzheimer’s Disease, a severe disability with little to no mobility, or other major health issue such as paralysis due to a stroke. Caregivers are there to help with all personal and companion care needs, such as meal prep and feeding, using the restroom and personal hygiene, daily household tasks and errands, and transportation for doctors’ appointments.